- General quadrilateral meshing of floor areas. - User-defined internal mesh for shells. - Improved merging of floor areas by removing common edges. - Ability to automatically add rigid-zone areas over columns and walls. - New link property to represent high-damping rubber-bearing isolator. - Multiple controlled displacements for static pushover analysis. - Link properties can be used for line and area springs. - Strain response for shell objects (walls and floors). - Option to control the slope of steep strength-drop in frame hinges. - Improved convergence behavior for displacement-controlled nonlinear static load cases. - Non-iterative event-to-event option for nonlinear static analysis. - Increased speed and reduced storage for running and displaying results of nonlinear load cases. - ASCE 41-17 auto hinges. - Optional points BC and CD on hinge backbone curves. - Auto-wind loading according to the ASCE 7-16 code and Korean Building Code (KBC 2016) added. - Auto-seismic loading according to the ASCE 7-16 code, Korean Building Code (KBC 2016), Indian Standard Code (IS 1893:2016) and Turkish Seismic Code (TSC-2018) added. - Automated response spectrum functions according to the ASCE 7-16, Korean Building Code (KBC 2016), Indian Standard (IS 1893:2016) and Turkish Seismic Code (TSC-2018) added. - AISC 360-16 composite beam design added. - AISC 360-16 steel frame design added. - NTC 2018 Steel Frame Design added. - IS 456:2000 concrete frame design updated for the IS 13920:2016 seismic code. - Parallel processing has been implemented for running design (all types). - Automatic concrete column design to achieve strong-column/weak-beam connections. - Implementation of AISC Design Guide (DG) 11 for composite beam design based on AISC 360, CSA S16 and Eurocode. - Web penetrations for composite beam design based on AISC 360-16, AISC 36-10 and AISC 360-05 codes. 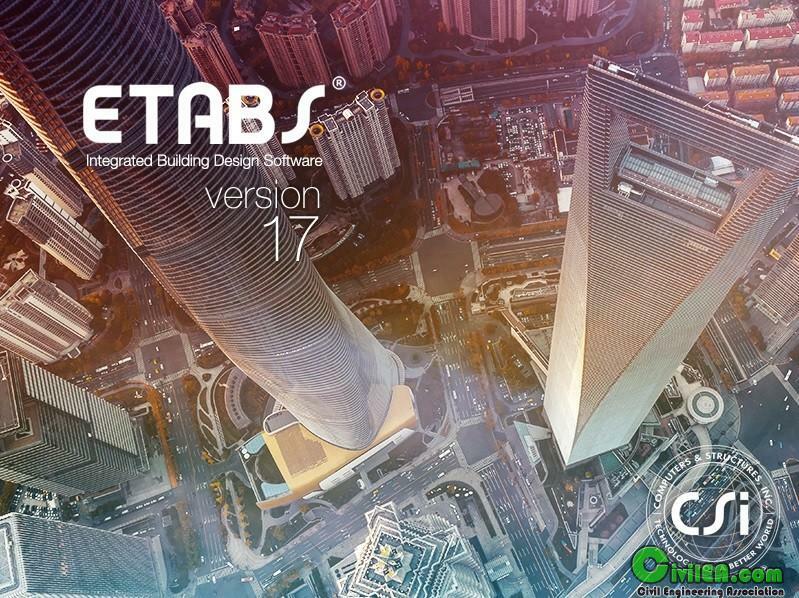 While we wait the medicine for ETABS v17, I leave here the link to ETABS v17 Evaluation.